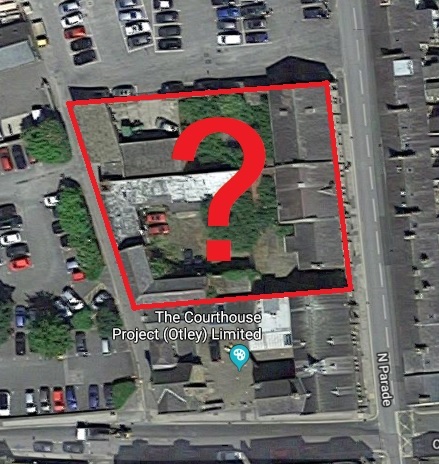 Otley Courthouse has been given permission, by Leeds City Council, to develop an expansion on the council-owned land to the rear of the Courthouse . It is important to stress that we are at very early stages of this process – talking to various interested parties. There is also no funding in place to allow it to happen – but it would certainly be an exciting development. • Additional artists’ studios / small business spaces / meetings rooms / music practice rooms / gallery space / public media rooms and other spaces that might be suggested during the consultation and planning stages. • Otley Courthouse has the expertise to attract funding to such a project. Our next step will be to involve the local community and Courthouse supporters by asking them to provide feedback on our initial ideas. We will also be applying for funding to develop the ideas further and to put together a business plan for an expanded Courthouse. You can view a summary of the responses to our recent survey here. Many thanks to all that completed it.